A baby's arrival is definitely a landmark to be celebrated. 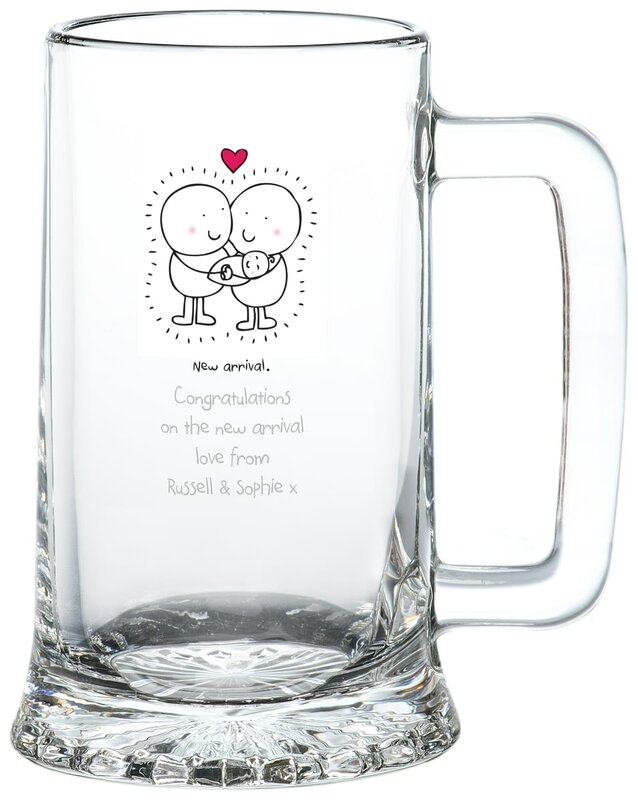 Whether they're part of a large brood or the first bundle of joy for a lovely couple, this glass is perfect with our Chilli and Bubbles cartoon family – and a message from you too! This glass is designed to be displayed and treasured for a lifetime. There’s a little bundle of joy on the scene, commemorate the day with this really special Chilli and Bubble New Baby Half Pint Tankard! Stars and sparkles are the perfect way to give someone a proper send off, and with this crystal tankard you can celebrate in style. Ale aficionados, lager lovers and beer buffs will love this bespoke Graduation tankard, after all they have put in the years of drinking to get where they are.